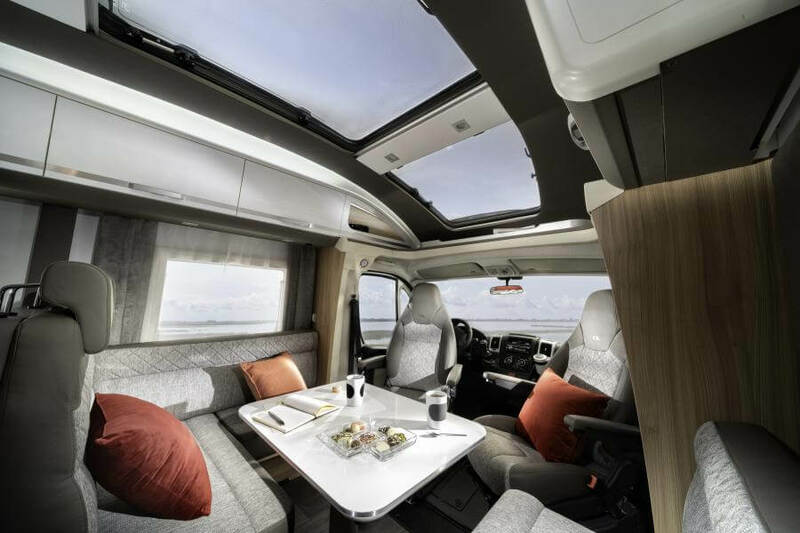 CORAL RANGE – BLUE SKY THINKING – The all-new Coral with new sky-line exterior profile, new skyroof double panoramic window and Adria Exclusive Sky Lounge are the result of blue-sky thinking in designing a motorhome. 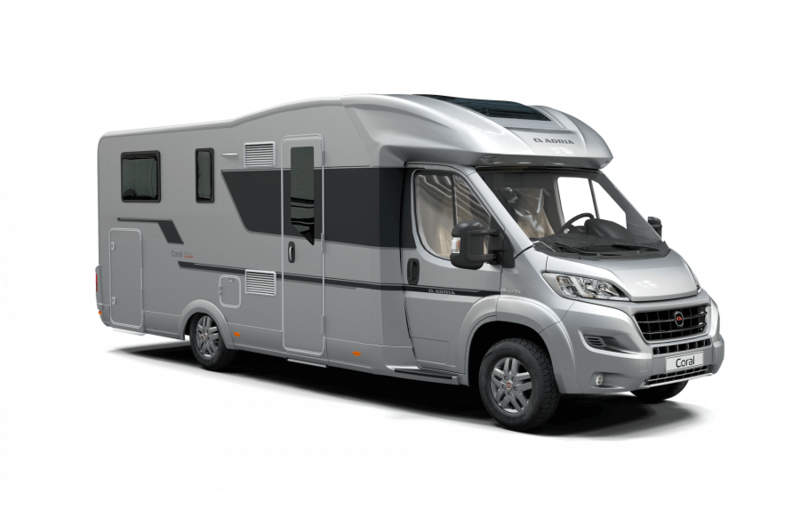 There’s a choice of chassis, engines, heating and interior styling as well as a new double floor offering single level floor throughout, extra headroom and a wide selection of layouts. 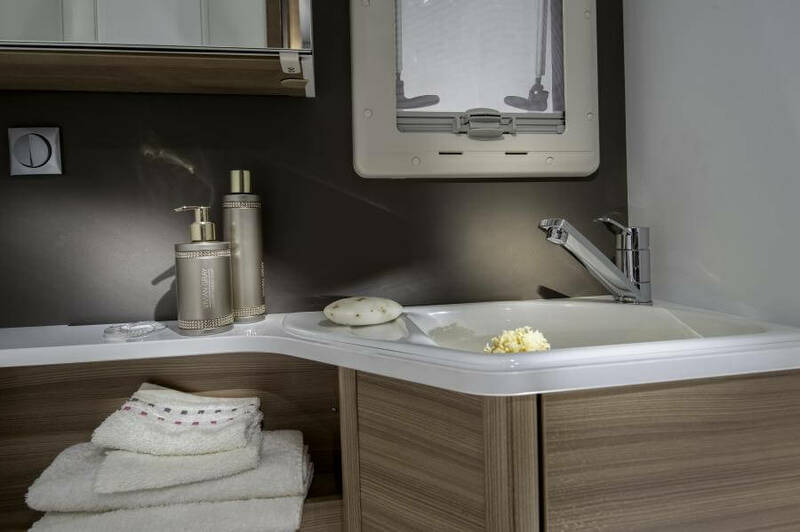 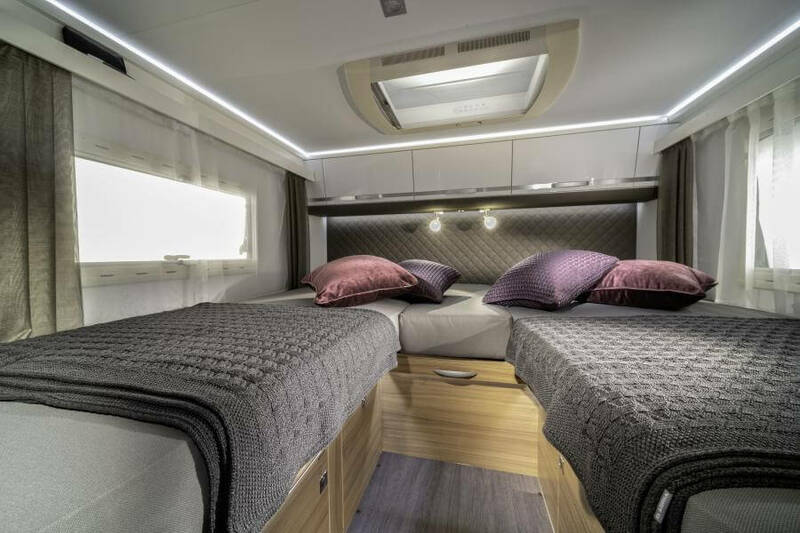 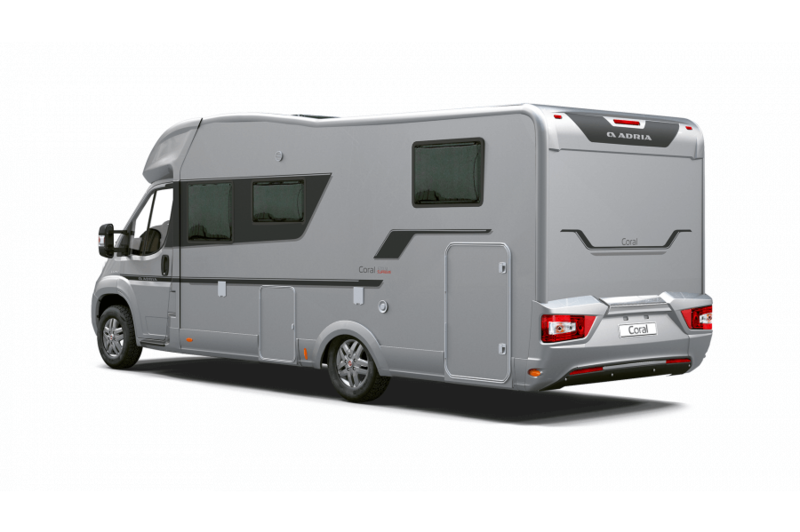 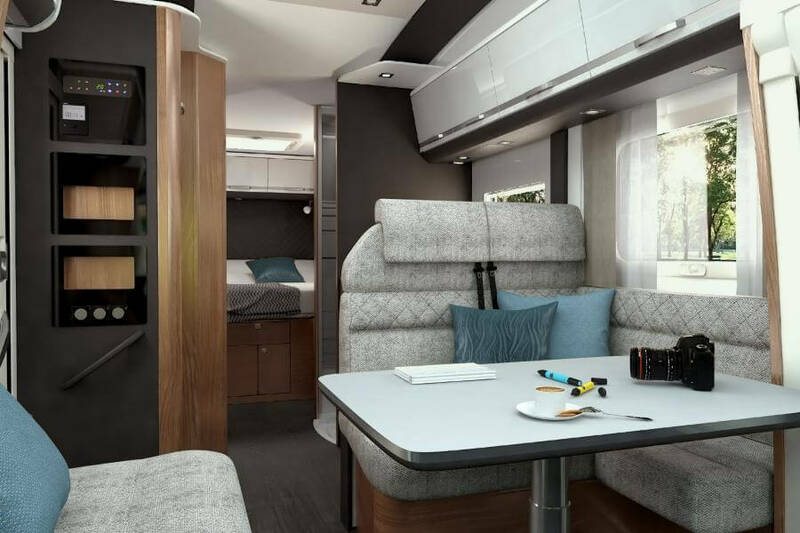 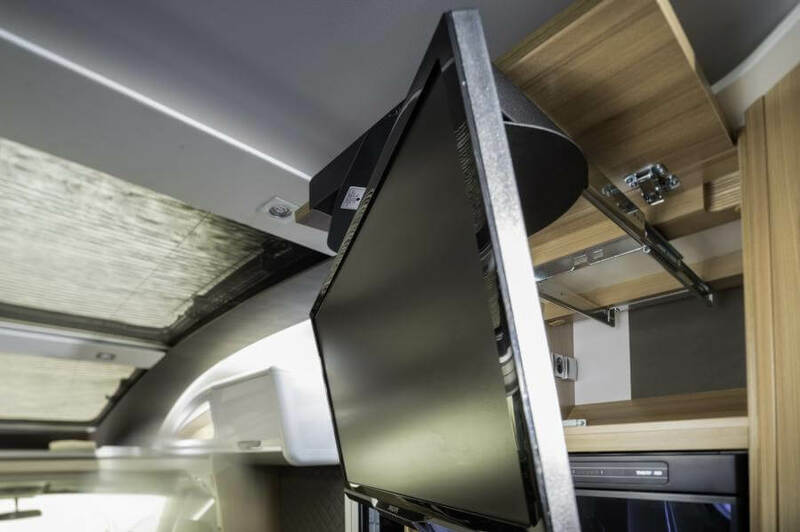 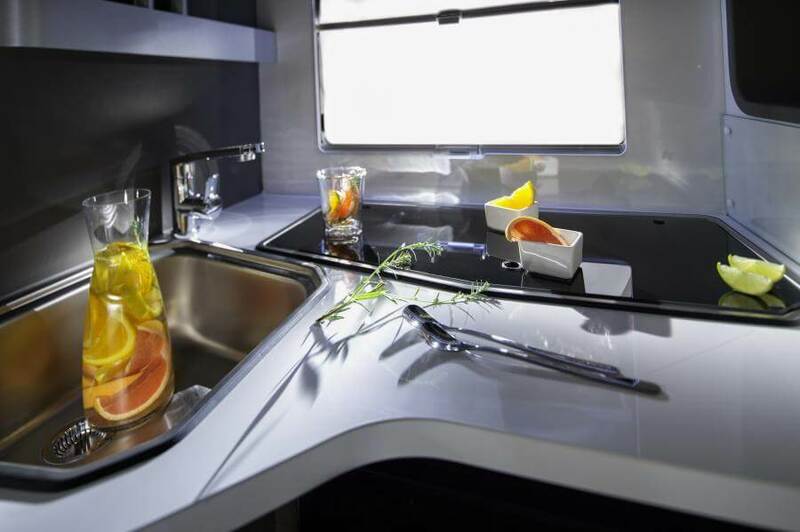 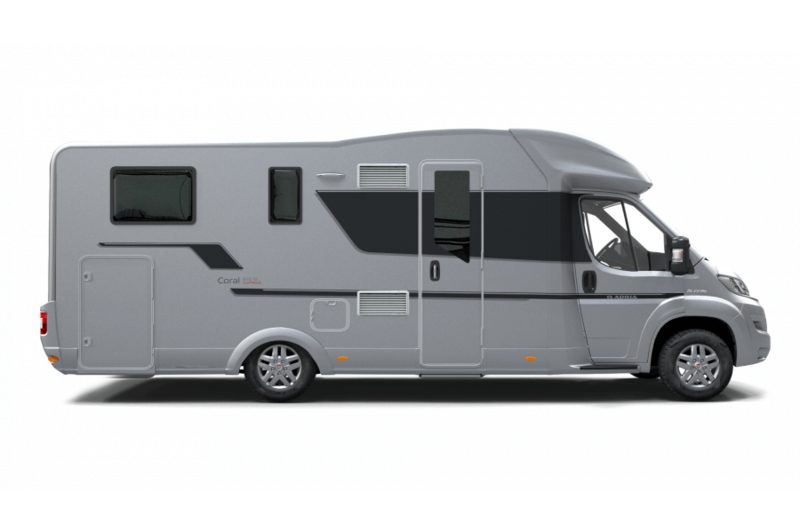 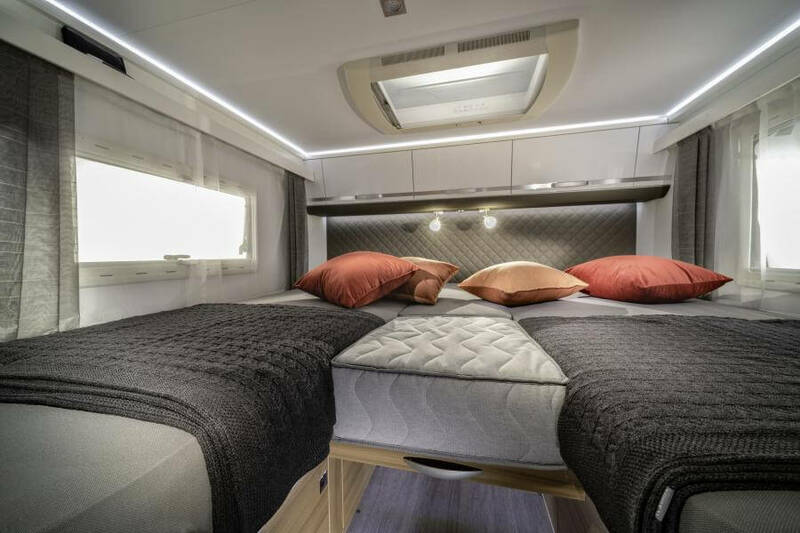 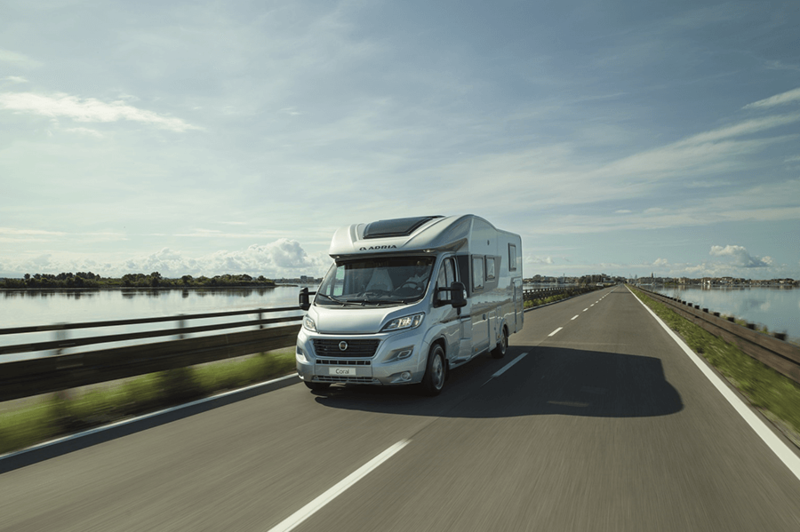 The new Coral sets the new benchmark for semi-integrated motorhomes, with its exclusive new Sky Lounge, optimised space, new contemporary interior designs and layouts. 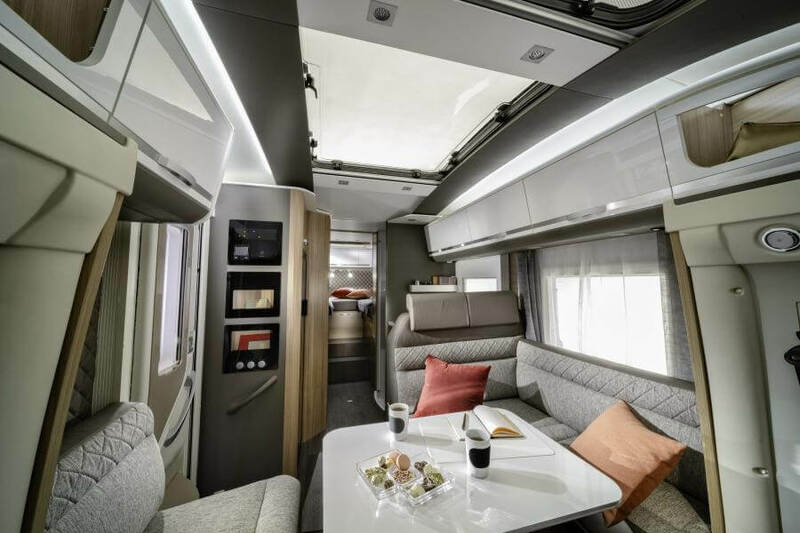 From the large lounge dinette, to the CleVer V-shaped kitchen, spacious bathroom and comfortable bedrooms, the Coral offers loft-style living in a slim-fit exterior design.